In this week's Inbound Marketing Highlights, we have 700 new Netflix shows, a tortilla chip created by Taco Bell, and a Tinder vs, Bumble showdown. What a time to be alive! Get all the deets below. Netflix is spending $8 billion to launch 700 new series next year. That’s right 700! They are also looking to spend $2 billion on marketing these new series but experts in the industry are wondering if that will be enough. 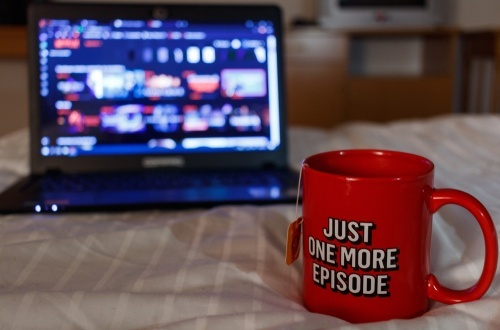 While Netflix’s release-all-at-once system is great for binge viewers, it is extremely problematic for marketers. While TV networks get 4 or 5 months to build up buzz for a new series which airs weekly, Netflix gets four or five days to build hype. Similarly, they cannot use the "catch this week's new episode!" style of marketing which is popular on most networks. In addition to buzz, Netflix relies on it's recommendation engine to drive viewership. Their algorithm can analyze your viewing history to decide which shows to display on your Netflix home page. The algorithm helps them know which audiences will be interested in their assortment of mass market shows as well as their quirkier indie shows. So why is Netflix making 700 new shows to begin with? Well, many shows and US networks are pulling their content back when their deals expire, now that many of them have their own streaming packages. It wouldn’t be an 'Inbound Marketing Highlights' blog without a marketing update from our beloved Taco Bell. The restaurant just unveiled their new line of tortilla chips which are based on their ‘fire’ and ‘mild’ hot sauce packets. Starting in May, the hot sauced inspired chips as well as a classic tortilla chip will be available in grocery and convenience stores. The packaging design matches the famed sauce packages almost identically. “This launch of our first line of sauce packet-inspired chips gives our fans a new way to access a taste of Taco Bell. Our sauce packets are one of the brand’s most unique aspects and were the natural choice for both the flavors and packaging of our tortilla chips.” - Marisa Thalberg, chief brand officer. Language is constantly changing. Because of this, marketers need to understand and continue to align their brand's personality with their audience’s language habits. Colors, images, and design should support the language and set the tone for how people perceive a brand across devices. Even something like fonts or typography can make or break a brand’s first impression. Dr. Nadine Chahine, U.K. type director at Monotype and typography expert, highlights how shifts in language — like the emergence of hashtags and emojis — shape the way marketers communicate with audiences amid the rise of mobile. "In every part of marketing, you need to know your audience. If you're able to understand what an emoji means to a specific audience, you can apply it properly, in the same way you'd adjust words to fit the audience. You wouldn't tell Americans to stand in a queue, like in British English, you'd tell them to stand in line. "- Dr. Nadine Chahine. Many brands are taking advantage of voice search technology in this era of Alexa. Beverage brand, Diageo, has made a skill for Alexa called “Happy Hour,” leveraging the growing trend of voice features to reach customers in their own home, where many host parties, enjoy or drink, or make grocery lists. The 'Mix it Up' feature suggests a drink based on the users mood, while the 'Cheers' feature helps people find an occasion to celebrate. There is also the 'Find a Bar' feature which uses Yelp integration to recommend a nearby bar for a Diageo cocktail. Additionally, users have the ability to ask Snoop Dogg for a drink recommendation. The hands-free feature helps to directly reach consumers at home without intermediaries like search engines, steering people toward other non-Diageo products. "We — a woman-founded, women-led company — aren’t scared of aggressive corporate culture. That’s what we call bullying, and we swipe left on bullies. Ask the thousands of users we’ve blocked from our platform for bad behavior." That's this week in Inbound Marketing Highlights! Tune in next week for more!